The State Fair of Texas is the state’s largest and most influential auto show with more than a million attendees checking out what’s new in cars and — especially — in trucks; and Ford took the opportunity last week to take the wraps off of its 2016 Super Duty lineup. This is an extremely important vehicle for both the industry and for Ford. It is the best selling heavy duty truck in the country, after all. 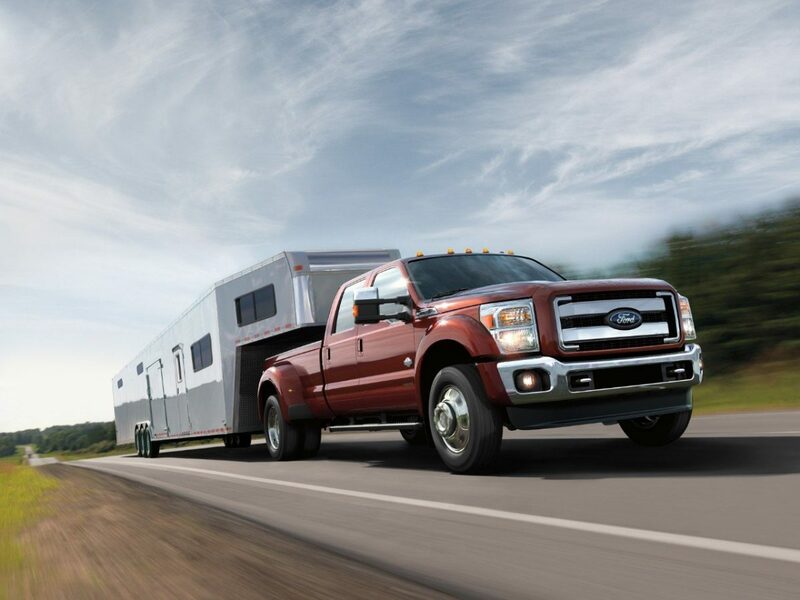 The last time Ford introduced a new Super Duty was also at the Fair, so it should have been no surprise that this was in the cards, even though the newly-minted edition will not be available for another year. That gives you plenty of time to save up for the latest and greatest. There is still time to take a gander at it and a full range of pickups and other vehicles with about two more weeks of Fair left. This far from an actual launch details are still sketchy, but the new Super Duty will have what Ford describes as best-in-class towing of 31,200 lbs. The F-350 will deliver up to 26,500 lbs. of fifth-wheel and gooseneck tow capacity and a gross combined vehicle weight of up to 35,000 lbs. 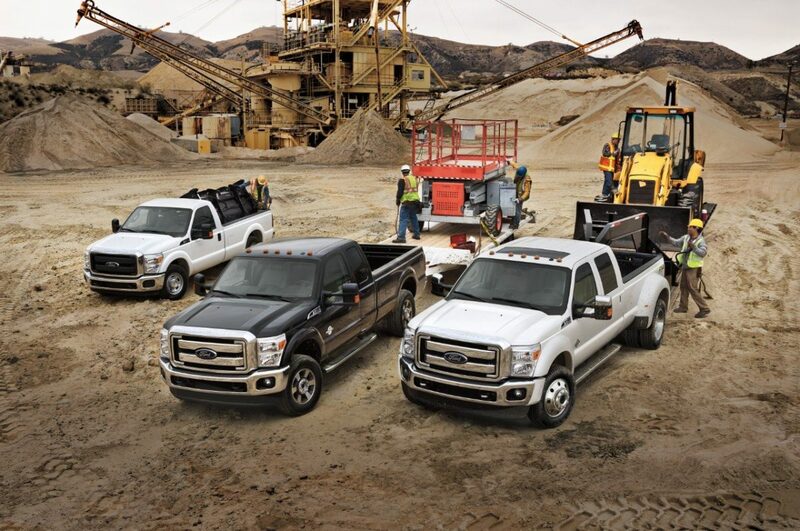 The F-450 tops the lineup with max gooseneck tow capacity of 31,200 lbs. and fifth-wheel tow power for 26,500 lbs. The gross combined weight rating is 40,400 lbs. — a class-leading number. Two engines will be available: a Ford designed/built second-generation 6.7L Power Stroke V8 Turbo Diesel with 440 hp and 860 lb.ft. of torque, and the standard 6.2L V8 producing 385 hp and 405 lb.-ft. of torque. 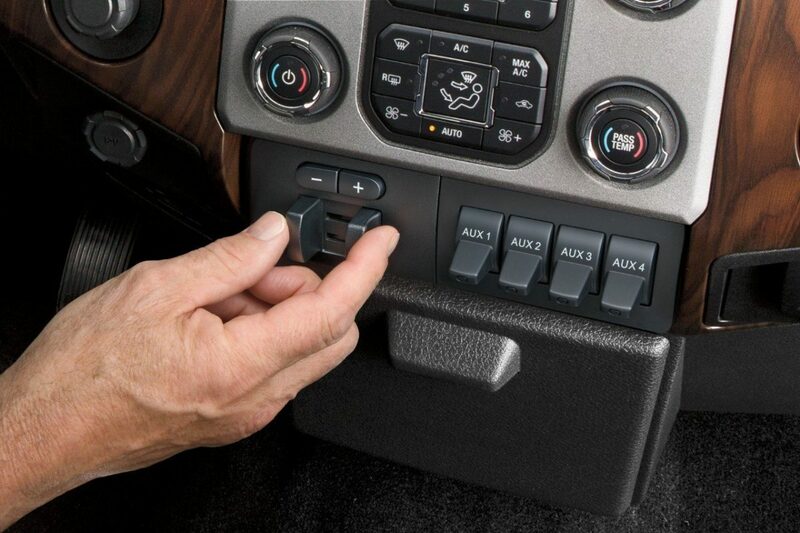 Both are paired with the company’s 6R140 TorqShift six-speed automatic transmission with standard tow/haul mode. The 6.7L features a compacted graphite iron engine block for weight reduction and increased strength. Built at Ford’s Kentucky Truck Plant in Louisville, the body of the truck shares many of its characteristics with the highly-successful F-150, which premiered the use of airline-quality aluminum married to high-strength steel. Both pickups with beds and chassis-cab versions are available. There will be four levels of truck: XL, XLT, King Ranch and Platinum; and available configurations are extended and crew cab. Starting price is being quoted at $32,385, plus $1,195 destination and delivery with taxes extra. 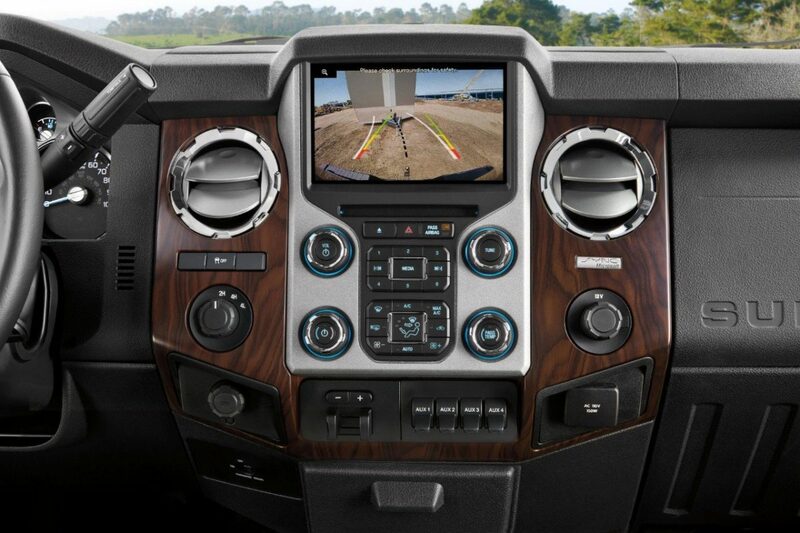 Standard safety features on the Super Duty include AdvanceTrac with roll stability control for single-rear-wheel axle only, MyKey programmable vehicle key and crash severity sensor. New this year are available factory-installed LED warning strobes for customers who require enhanced vehicle visibility while working on-site (fleet trucks only). 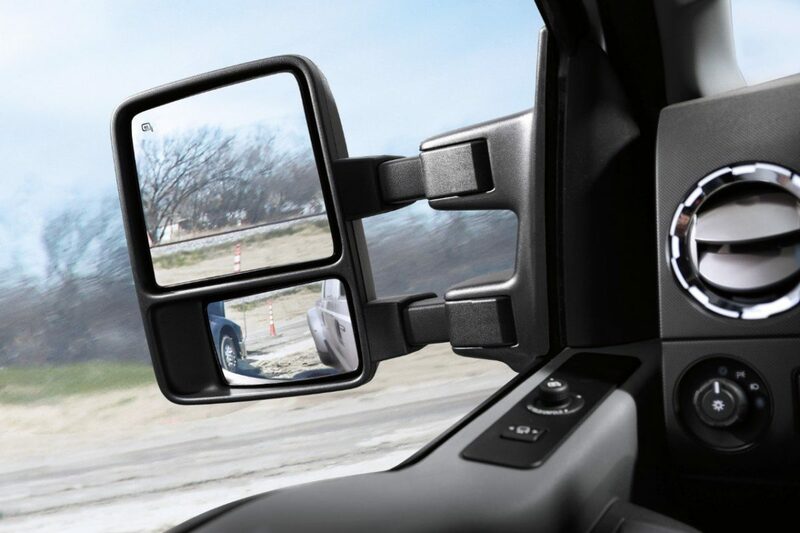 When the pickup box is deleted, there is an available rearview camera and prep kit and a standard rapid-heat supplemental cab heater in cold-weather states. At this point, that’s the Ford Super Duty story. There will be much more to report during the coming months, and I look forward to a drive opportunity so I can tell you more.